Cape Town’s Fan Walk was born of the 2010 FIFA World Cup event to create a single vibrant movement route from the Cape Town Station to the Cape Town Stadium. Four years on, what has been the legacy of this Fan Walk? How have our citizens appropriated it and what potential does it contain to be the beginning of activating our city at a pedestrian level? There is precedent for fanwalks as wide stretches of road to lead fans to a key specific event, e.g. the Berlin Fan Mile. The Cape Town Fanwalk is unique in that it links the city’s central station to a series of well pedestrianised historical streets and all along a restaurant activated edge in Green Point, to the stadium. 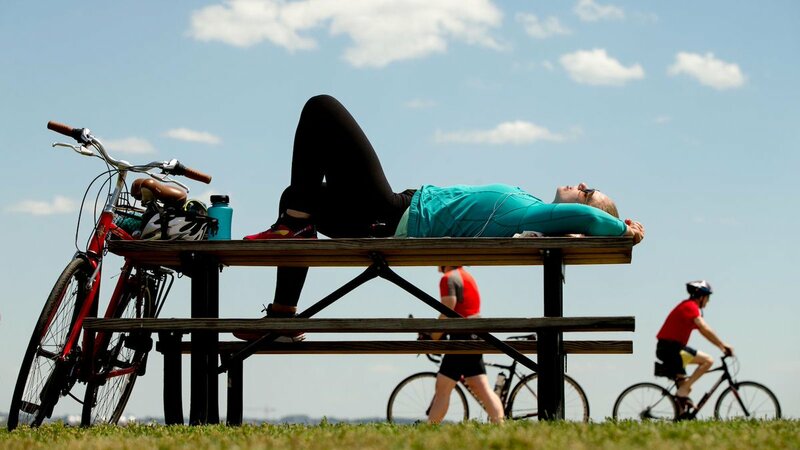 It thus provides a spine that starts to promote walkability in the city and provides a safe pedestrian means to access existing city facilities. 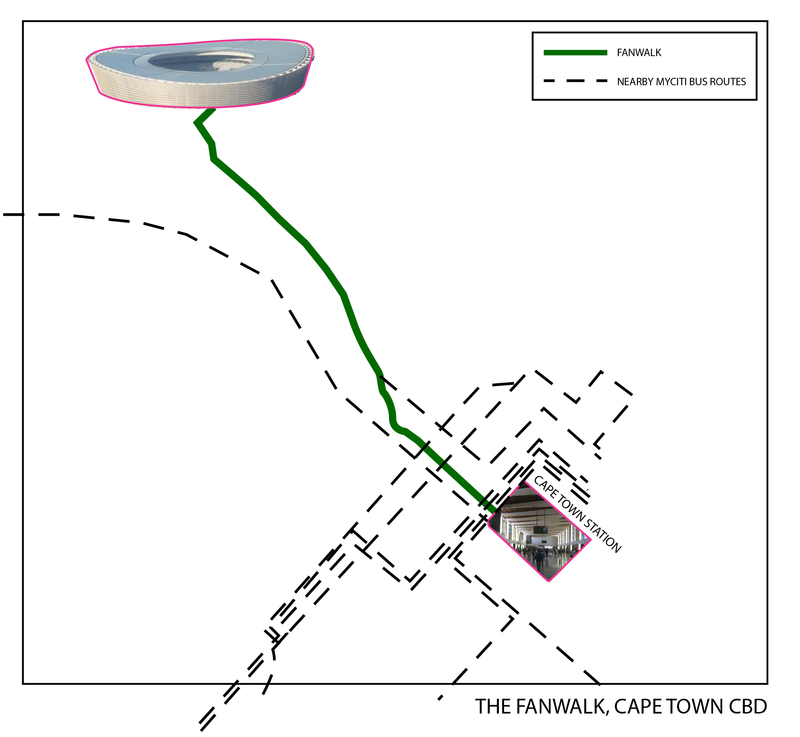 The map below shows how the Fanwalk connects a series of historical Capetonian streets, from Adderley to Buitengracht, as well as running through the architecturally rich district of De Waterkant. The Fanwalk provides a well lit, route that pulls pedestrians into these historic streets. Pedestrians begin to reactivate the streets, particularly at a ground floor level. Shops have enhanced business and the historical city has rejuvenated relevance. 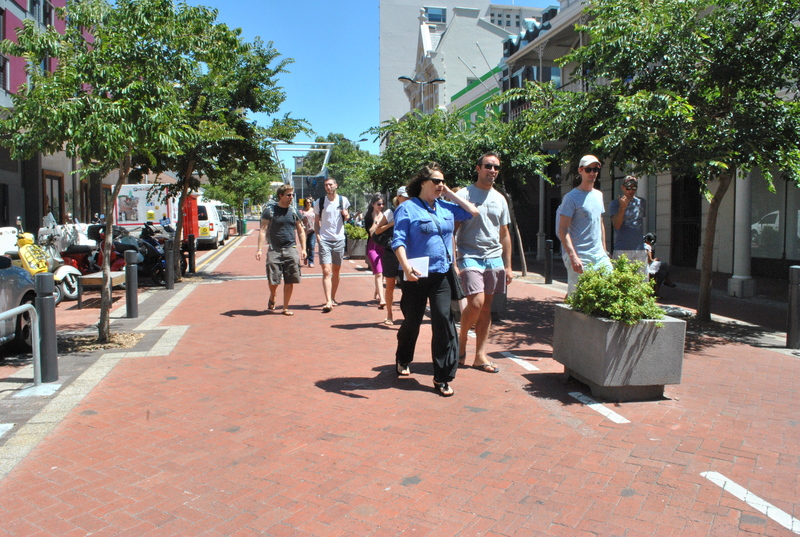 Participants on Future Cape Town’s ‘Design a Liveable City’ walking tour meander down Waterkant Street. One site of particular historical importance that is passed through on the Fanwalk is St Andrew’s Square. 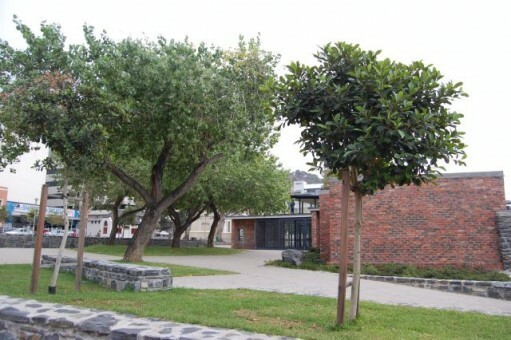 The square is the site of the re-interment of the bones of the slaves that were unearthed in Prestwich Street, Greenpoint in 2003. The site now contains an ossuary and a memorial garden in commemoration of this, but also functions as a reflective public pause space within the city. The memorial garden of St Andrew’s Square. (Photo by Cape Town Partnership). The Fan Walk has brought Capetonians to specific nodes of architectural and heritage value, but what about its ability to spur accessibility on a wider scale in the city? It sets a precedent of a route that is safe both in terms of pedestrian and cyclist traffic navigation and in terms of personal security. For our city to be more widely accessible via non-motorised means of transport, networks of this sort will need to be more widespread. Already the Fan Walk has acted as a spine to introduce walkers to more areas in the city, but with the expansion of the MyCiTi system, it is now able to connect to areas on a wider scale. The map below shows the connection of the Fan Walk to local MyCiti Bus routes. You can see that the walk has access to a number of these routes, enabling it to be a regular part of a city-worker’s commute. 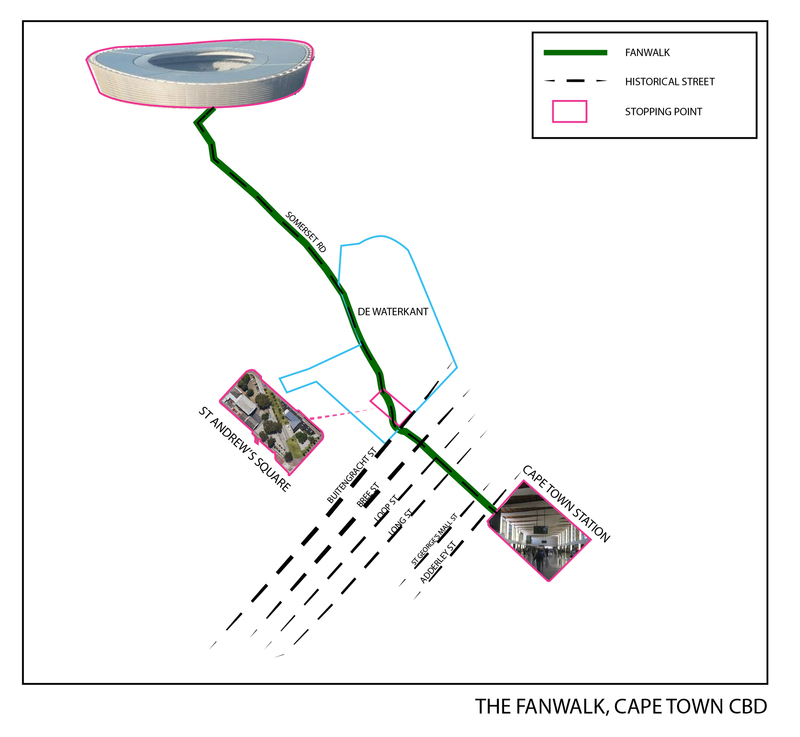 The Fan Walk has certainly been a vibrant part of Cape Town’s city culture, but seeing how effectively it transports and engages pedestrians and cyclists, it can also be looked at as a spur to wider and more permanent accessibility within the city.